Can the U.S. prevent a Zika outbreak? Bloodthirsty and ubiquitous, the mosquito is a carrier of death and disease. The roster of mosquito-borne illnesses is long: yellow fever, West Nile virus, chikungunya, dengue and the deadliest of all, malaria, which kills more than 400,000 people a year and sickens at least 200 million. 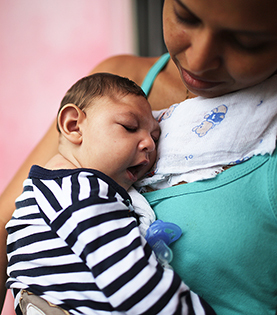 The latest scourge is Zika, a fast-moving virus that can cause severe birth defects, including devastating brain damage in newborns. As mosquitoes spread Zika throughout the Americas, many travelers and athletes plan to avoid next month's Olympics in Brazil, the disease's epicenter. With the mosquito season now underway in the United States, health officials warn that Zika could become endemic in this country, particularly along the Gulf Coast. The outbreak has drawn renewed attention to the weakness of U.S. public health efforts and criticism of Congress' failure to approve funding to combat Zika. Experts say Zika offers the latest evidence that the mosquito threat will grow as Earth's climate warms and the insect's habitat expands.